From boys proudly trying on that first shirt at Christmas - or playing in the park in the latest kit, pretending to be their heroes - to men and women cheering from the stands, or watching from afar around the world. This is a must-have book for Chelsea fans of all ages. An integral part of fan culture, football kits are a reflection of the times. Changes in design, colour, logos, badges - all supporters have their own favourites. 'Blue Is The Collar' takes fans on a journey from the very first Eton Blue strip in 1905 to the famous Royal blue jerseys of today, featuring some wonderfully colourful away shirts along the way. Whether it was the first shirt you had, or the first kit you remember Roy Bentley, Peter Osgood, Kerry Dixon, Gianfranco Zola or John Terry playing in, all the magic is captured in this book. 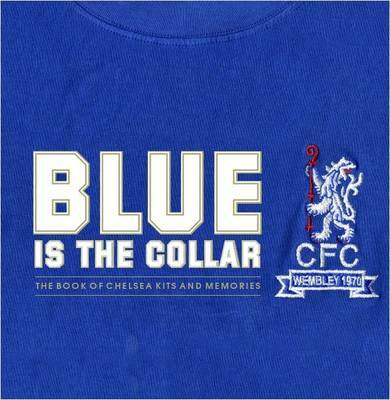 Featuring exclusive interviews with the first team players, ex-players, celebrities and fans, 'Blue Is The Collar' gets under the very fabric of the shirts and the club, with memories of great games and icons.